When a quintessentially Canadian brand that you grew up with trusts you to help define their identity moving forward, well, it’s an honour, to say the least. 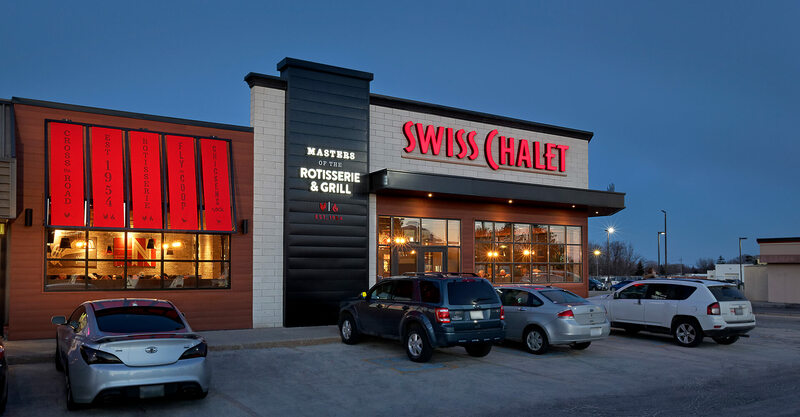 Swiss Chalet has more than 200 restaurants across Canada, and is the home of their famous rotisserie chicken and sauce. 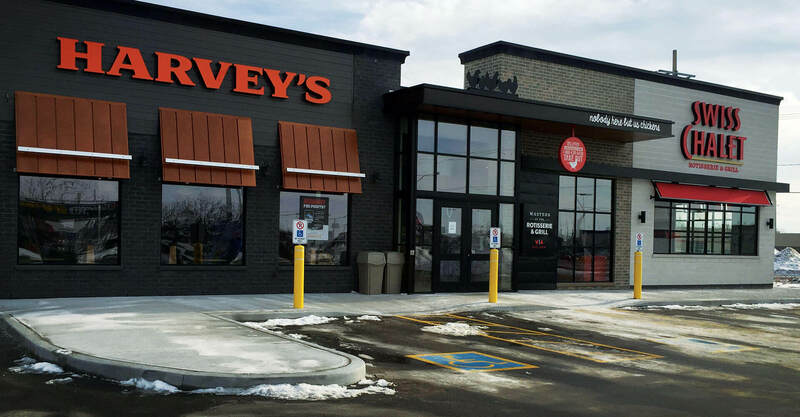 They are a household favourite spanning generations, but face tough competition in the casual dining restaurant category and changing consumer expectations. 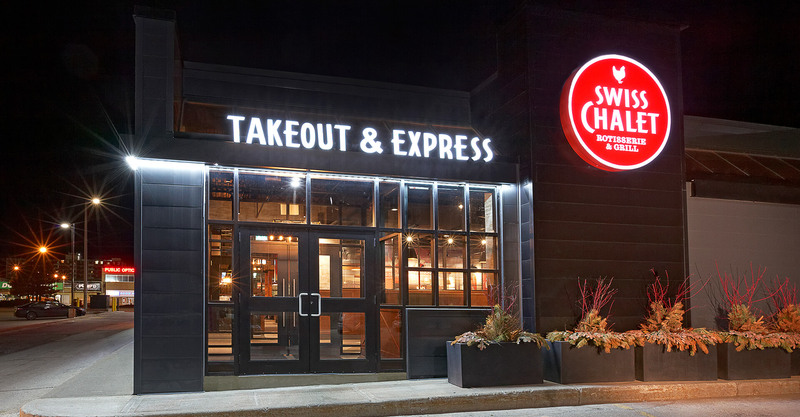 The team from Swiss Chalet knew they needed to change their approach to their restaurant assets, and called on us to help them to develop it. 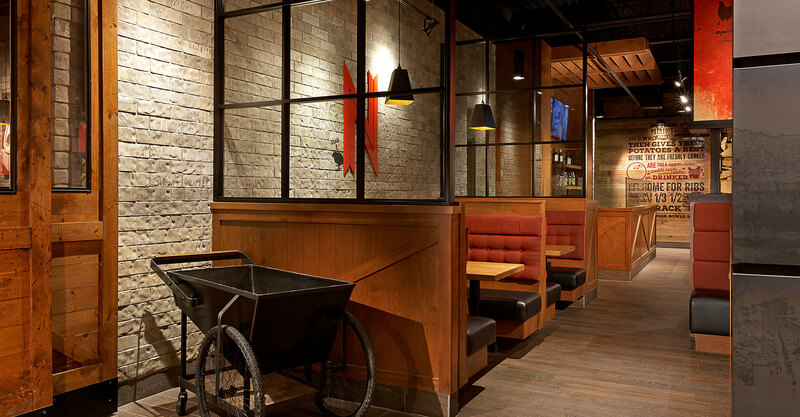 Since 1954, and more specifically in the past 20 years, the restaurant market has become flooded with casual dining options, and also experienced the rise of fast-casual concepts that cater to the time-poor, on-the-go customer. 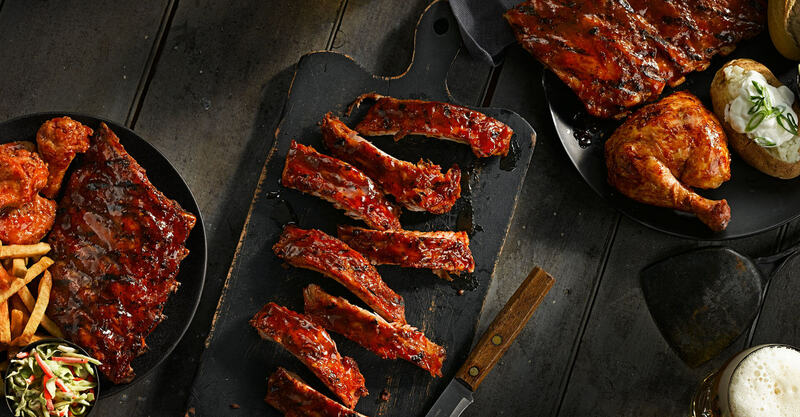 Swiss Chalet knew that they needed to reinforce their established position as a beloved Canadian restaurant brand, and do a better job of communicating to loyal customers why they needed to come back. 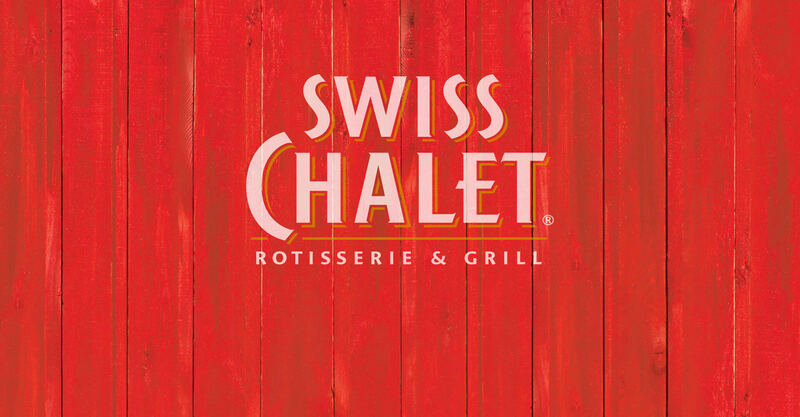 Swiss Chalet has always stood for great chicken and delicious fries, and their famous Chalet Sauce. They are the undisputed masters of the rotisserie. 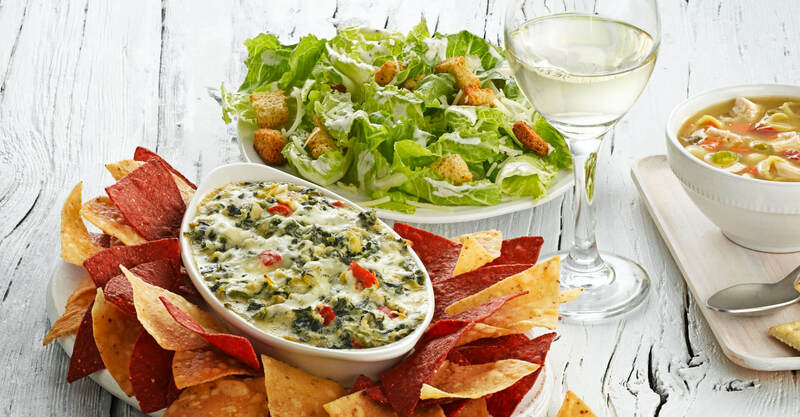 The dining experience has always been friendly, casual, and felt like an extension of home, where mom can trust the food being served, without having to prepare it herself, allowing for complete family moments. 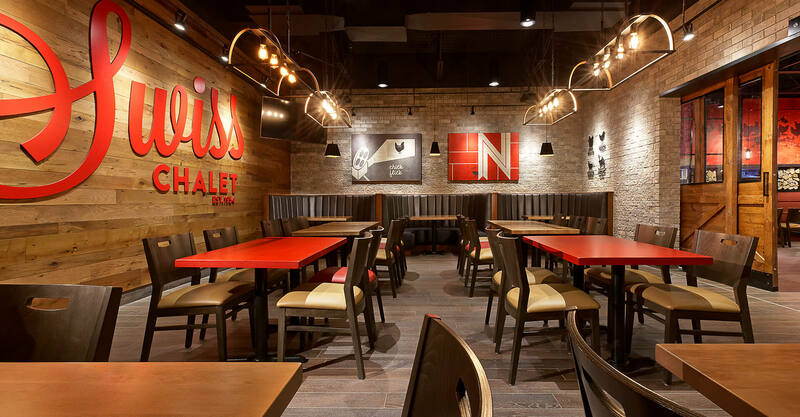 Unfortunately, Swiss Chalet’s latest design package did little to exude the warmth and hospitality of the brand. To remedy this, we cooked up meaningful brand voice messaging throughout the space. 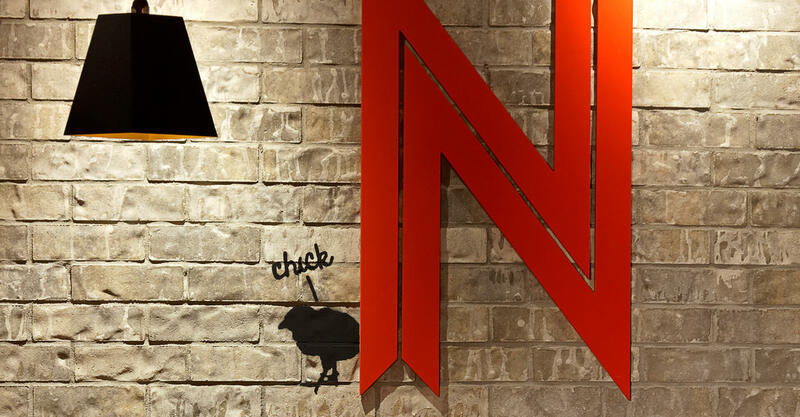 On the exterior (and again on the bulkhead inside), the “nobody here but us chickens” message takes a playful shot at the food foundation of the brand, while awnings reinforce the longevity and pillars of the brand with “Est. 1954” and “Rotisserie” messaging. 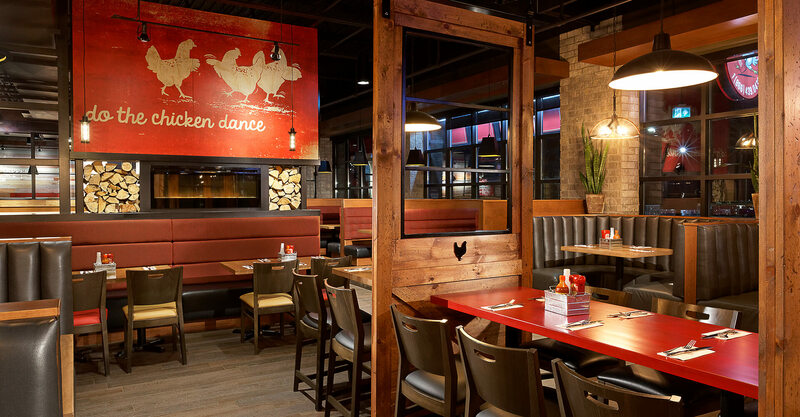 The rooster weathervane off the side of the building is a nod to the farm and freshness, but in a heritage and rustic way. 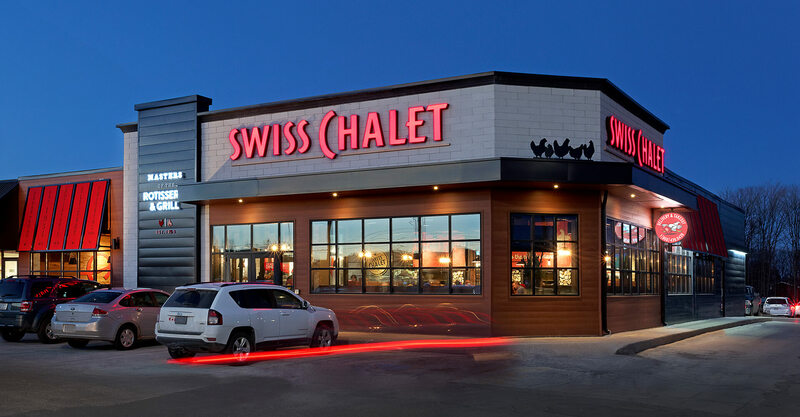 Immediately upon entry there is a large brand moment featuring the script version of the Swiss Chalet logo painted on brick. 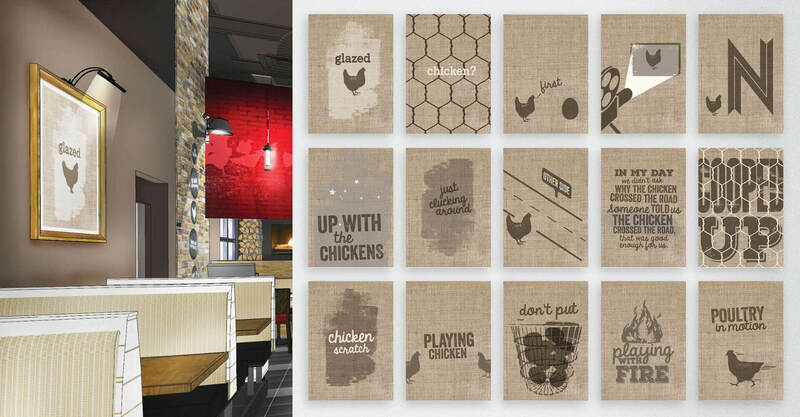 The playful chicken theme is carried throughout the interior as well, with tone-on-tone chicken icons clucking their way through humourous wall art. 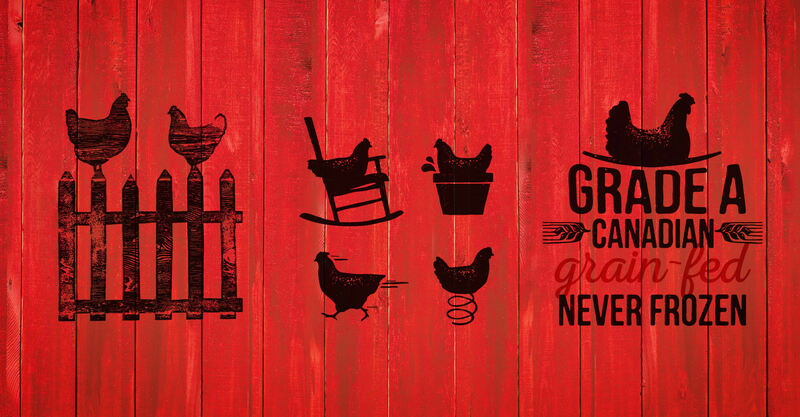 Graphic messaging identify and differentiate sections of the dining space, as does the barn door detailing. All of this comes together to create a feeling of country charm that the brand has always embodied, without being country kitsch. 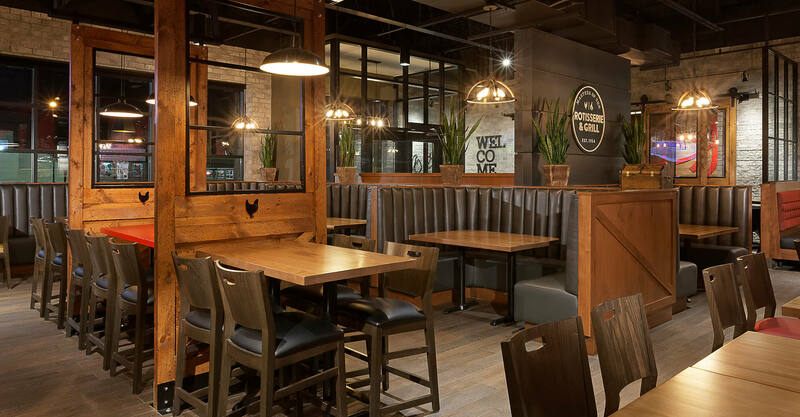 We worked with Swiss Chalet to define and create design packages for four different renovation types, plus a new build, and an additional co-branded Harvey’s/Swiss Chalet package. 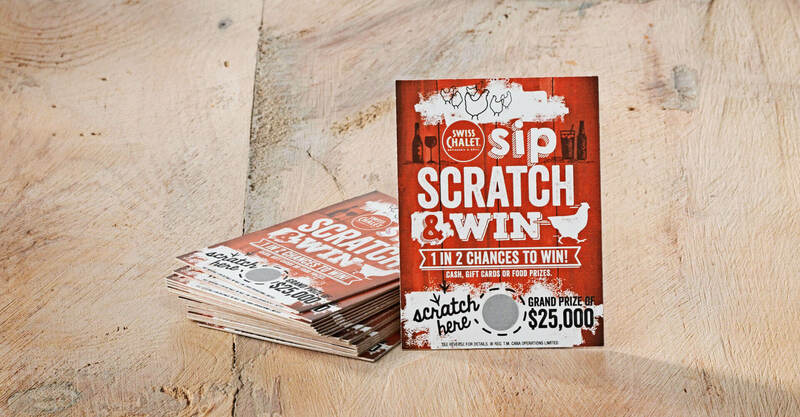 We developed the full artwork package, signage packages, and drawing sets for each type. 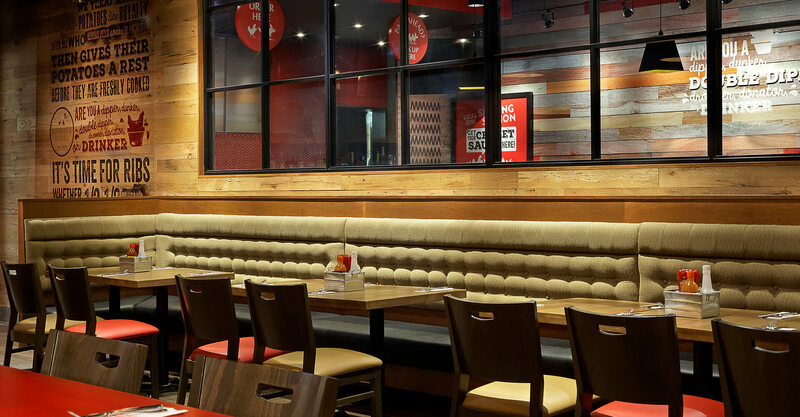 The co-branded restaurant type required us to establish connections between the two very different brands, tying them together visually in order to create cohesiveness without each losing their distinct personalities. 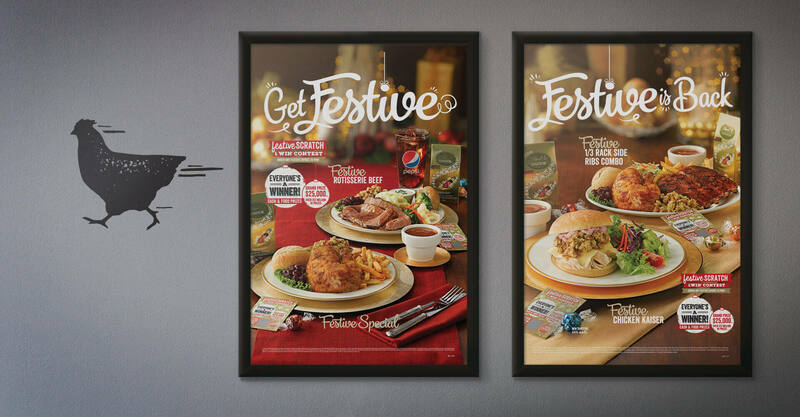 The brands had to live well together, and share a common takeout space in the middle. 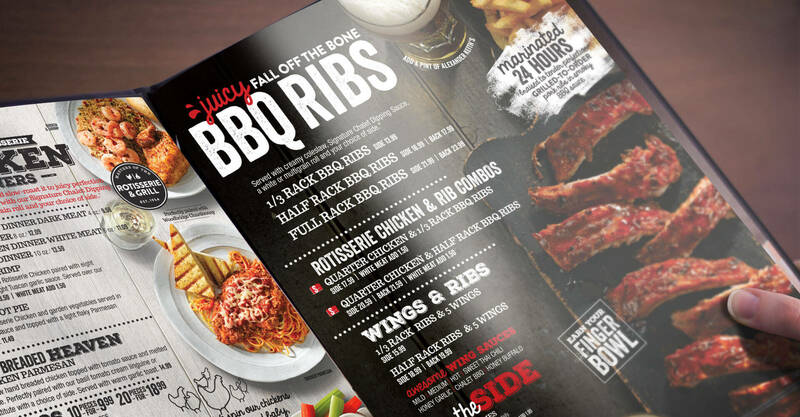 The Marketing team at Swiss Chalet worked with us to redesign their menus, including their takeout menu boards. The existing menus featured a lot of overhead food shots that didn’t differentiate between dishes well enough, and caused confusion among diners. We shot all new photography, with an eye towards creating an exciting food journey through the book, giving the diner something mouthwatering to entice them on every page. 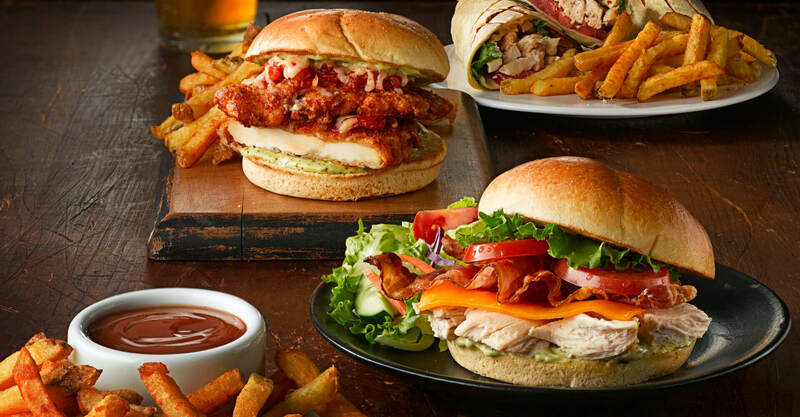 Swiss Chalet identified early on that one of their biggest problems with their menu is that they often don’t get opened – a testament to the popularity of their iconic Quarter Chicken and Fries meals. It was important to them that they disrupt the thought process of guests intent on ordering “the usual”, by showcasing menu innovations with rich, vibrant food photography on the cover. 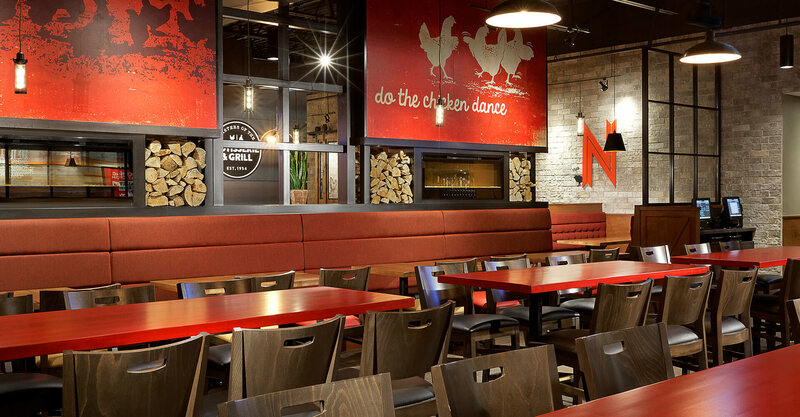 It was important to Swiss Chalet that they diversify the customer consideration of their offering beyond chicken. We created full table settings for each menu category, shooting select products together in one setting. To do so, we had to be mindful in framing each shot of the clear space required to feature the descriptions and pricing of each dish, which we added in later. This required a sound process and methodology, forcing us to defining the layout very clearly and work with the photographer to achieve it during the shoot. 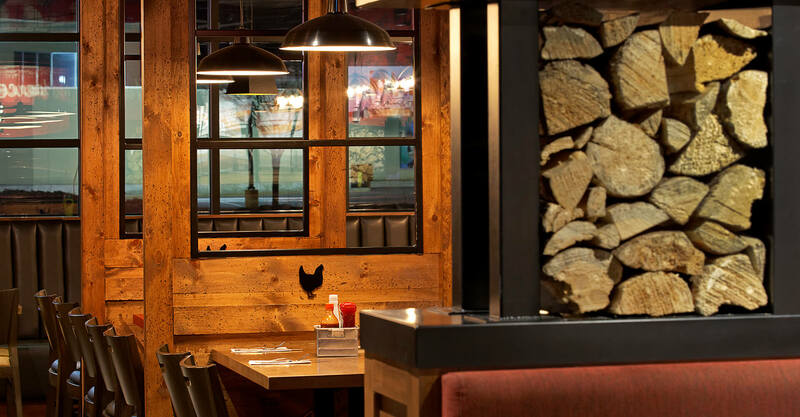 Now, as you flip through the Swiss Chalet menu, it’s exciting to see all of the different menu offerings that are available, and it’s readily apparent to guests that there is more than just chicken on the menu. 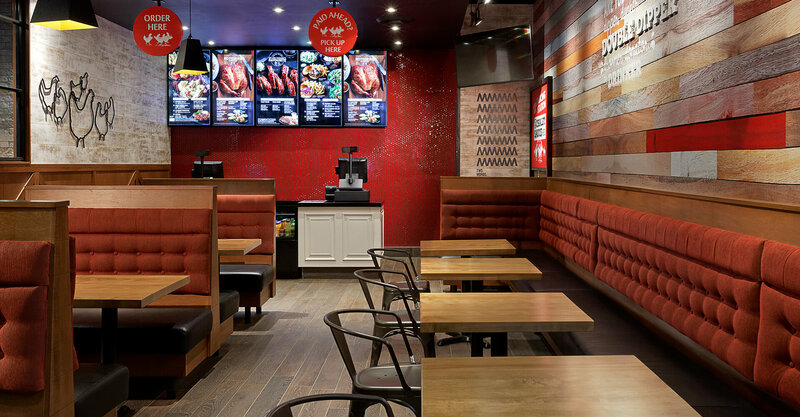 In the take-out area, we redesigned the menu boards in order to simplify the ordering process and feature more of their offering. The existing boards were dated, and listed only a fraction of their offering on them. We created a QSR-style menu board that now features every dish, numbered, giving customers the ability to “point-and-shoot” during the order process. We also worked in a lot more food photography, increasing the appetite appeal and encouraging trial. 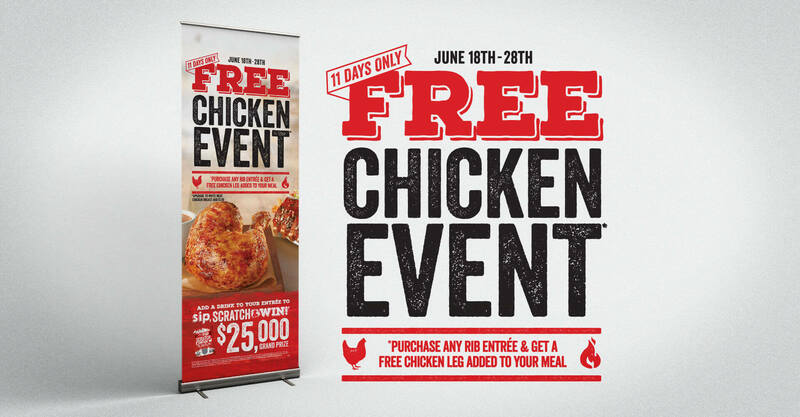 We have also worked with Swiss Chalet through all of their marketing promotion windows, developing posters, banner stands, menu inserts, menu board promotion panels, speaker toppers, drive-thru menus, and D-Mail to support each window. We’ve been responsible for creating messaging, shooting new photography, versioning in English, French, bilingual, and for Quebec and select differing markets. 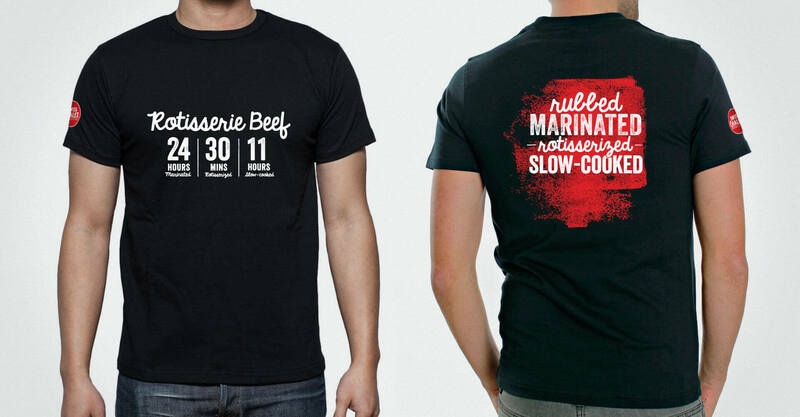 In order to extend the brand to the back of house, we’ve developed branded ops pieces for the introduction of new product innovations, including posters, manuals, and staff t-shirt designs.